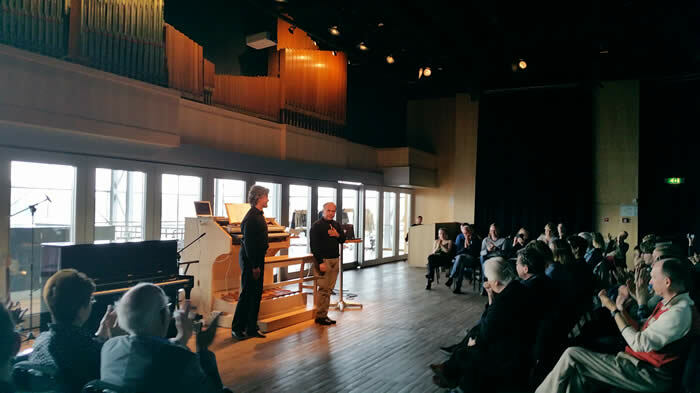 For the fourth time the Huygens-Fokker Foundation organizes together with the Muziekgebouw aan 't IJ the concert Pimp My Organ! 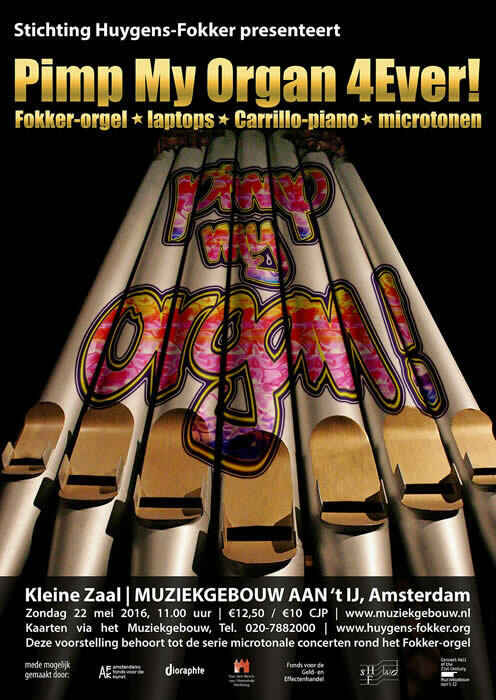 The computerized Fokker organ will again be expanded, revamped and pimped-up! 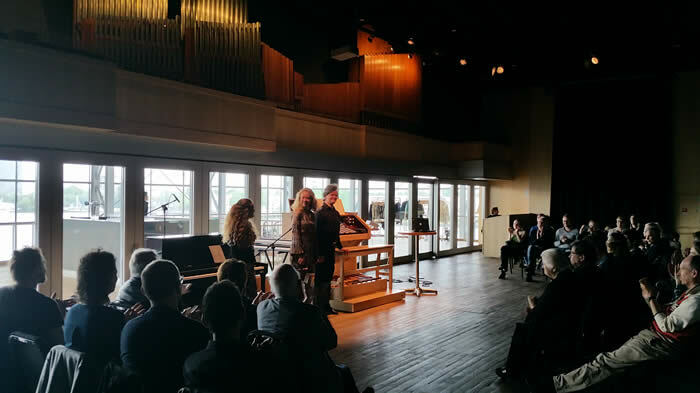 - Ere Lievonen on the 31-tone Fokker organ, Anne Veinberg on 96-tone Carillo piano, Melle Weijters on the guitar controlling the 31-tone organ. 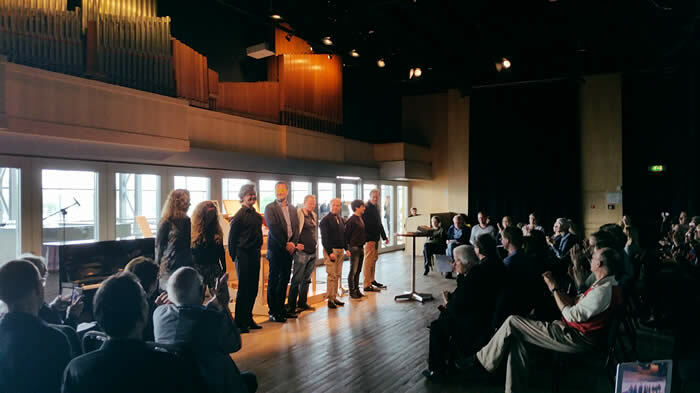 A exciting program with premieres of Juan Felipe Waller, Brechtje van Dijk, Felipe Ignacio Noriega and Nicolà Visalì and an arrangement for Fokker organ of a short piece of Ben Wallet. NB. 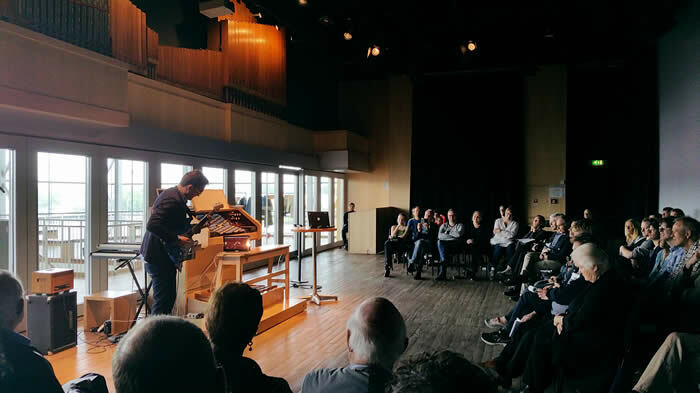 This is an extra concert in the Fokker organ concert series. 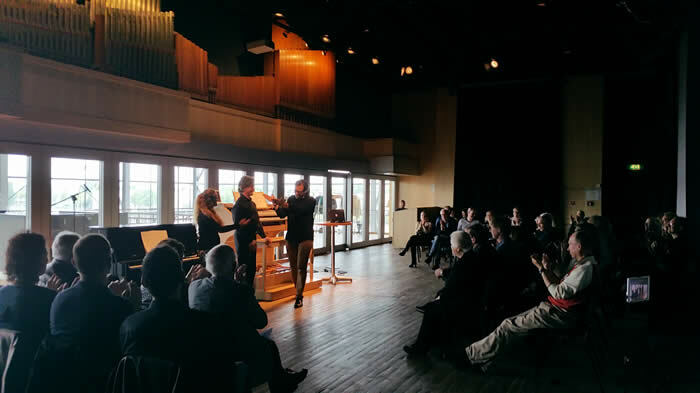 Tickets can be ordered at the box office of the Muziekgebouw aan 't IJ. 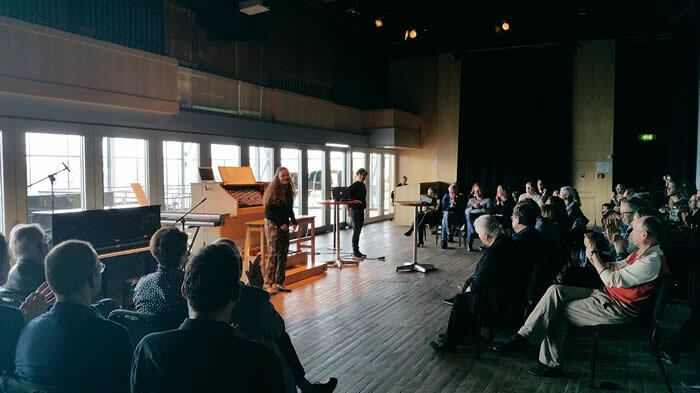 Stichting Dioraphte, Amsterdams Fonds voor de Kunst, Van den Berch van Heemstede Stichting, Stichting Fonds voor de Geld- en Effectenhandel. 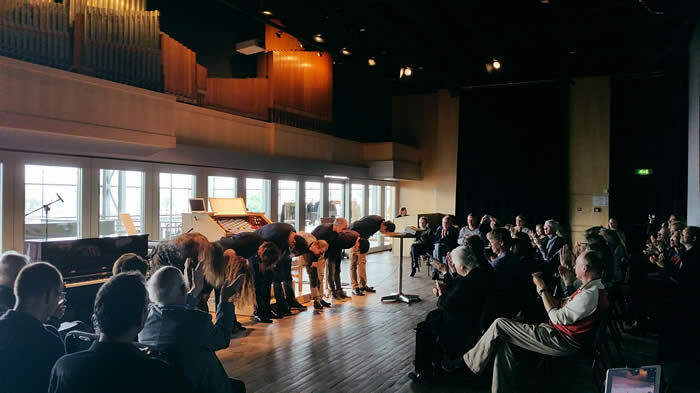 A generous gift of the NAG (Dutch Acoustical Society), and a joint contribution of six well-known consulting firms, namely Cauberg-Huygen, DGMR, LBP | SIGHT, M+P, Peutz and Wijnia-Norman Partners (WNP) have made it possible to buy the Carrillo-piano. Read more about these sponsors.